Ken's motto is: ‘Love that salt water. I want to be on it, in it, or under it." He is a native Californian, born and raised. He has always been drawn to anything that had do with the water and the ocean, learning how to sail at an early age just by reading C.S. Forrester's Hornblower series. His love of the ocean led him to other passions such as fishing, boating, and scuba diving. Ken became a certified divemaster in 1984 and has dived the Hawaiian Islands, up and down the Sea of Cortez, and the Caribbean, besides local California diving in the Pacific. Ken is the father of Caleb Shortridge who passed away in 1998 as the result of a tragic accidental overdose. He was just 27 years old. Caleb's ashes were scattered off the coast of San Diego as he would have wished. Soon after, Ken and his wife Anya helped to start a non-profit organization whose mission is to educate the public about Gamma Hydroxy Butyrate, or GHB. They have appeared on numerous television programs and talk shows from Texas to California, including MTV's Flipped and the Leeza Gibbons Show. The organization they started is now known as Project GHB - www.projectghb.org - and is currently run by a tireless group of volunteers and educators. Besides ocean activities, Ken's other hobbies and interests include photography, gardening, travel and dancing, just to name a few. He relates: “When I'm feeling low, tired, or stressed, all I have to do is get out on the sea and I am totally revitalized. The ocean is my best medicine." Ken is also licensed through the California Department of Consumer Affairs, Funeral Bureau as a Cremated Remains Disposer (CRD 399) which makes it legal for him to scatter ashes at sea. Anya was born in 1965 in Marin County. She grew up on a farm in Contra Costa County and spent junior high through high school in the Mountains of Northern California. In 1997 Anya met Ken Shortridge in San Diego. He had just started Ashes on the Sea. He needed a marketing designer and webmaster. Anya agreed to be the one. In October of the same year, she agreed again to be "the one" - Ken's partner for life. Seems like all that time spent together on projects created a bond of friendship that became much more. Anya is the mother of 6 children and the grandmother of Micah & Liam. She enjoys boating, fishing, dancing, and writing, just to name a few. One of her biggest passions is organic gardening and exploring all facets of nature. She never tires of full moons, storms, rainbows, and sunsets over the Pacific Ocean. 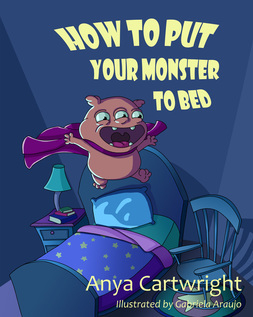 February 17, 2016 - Anya just released her first children's book, How to Put Your Monster to Bed, now available to download at Amazon.com on Kindle. It's adorable! ​Don't have Kindle? Use the free Kindle cloud reader! Parents: Do you have a fussy monster who doesn’t like going to bed? How do you put your monster to bed when he has so many things and thoughts in his head? Click the cover image to get this book today! The current owner of Ashes on the Sea, Philip Dodge, has always had a love of the Ocean. When he was offered the opportunity for a career change, Philip joined the Ashes on the Sea Family as soon as he could. Now you can find him on his new Boat the Dodger in San Diego, on board as a facilitator on many of our San Diego vessels, or in the office assisting families. He and his wife recently added a new addition to their family, and are truly loving parenthood. 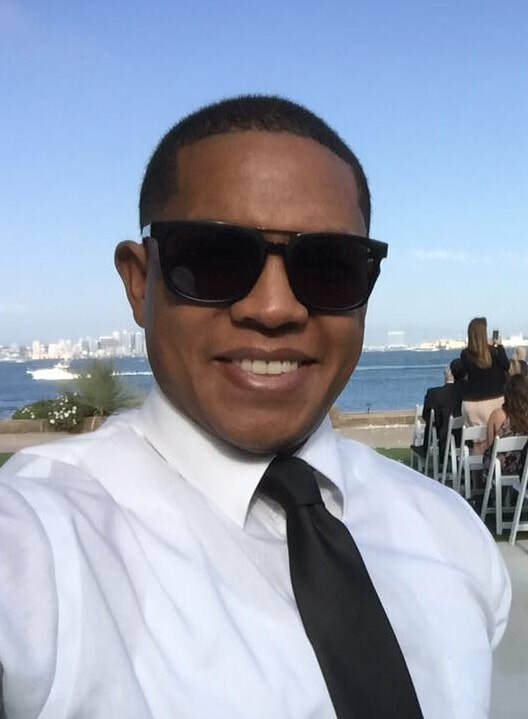 When Philip isn't working you can find him spending time with his family, and fishing on the beautiful San Diego waters. Jon is a San Diego native. Jon Captains many vessels, and is there to assist families on their trips. When he is not working, he is spending time with his wife and his toddler. Martha is the newest addition to our Ashes on the Sea family, and we are loving every moment of it. Martha assists our families will all of their needs before and after their loved ones services. When Martha is not assisting our families, she and her husband enjoy trying local restaurants, spending time with the Family, and caring for her 3 grandkids. Diane has been with Ashes on the Sea since 2006. She helps families on the boat with their memorial service and their comfort while on board. She usually knows what families need before they have to ask! Her patience and her love of people have made her a very valuable addition to our staff. When she is not assisting families here at Ashes on the Sea, Diane also works with elderly people who are in hospice, receiving in home health services, or who are just in need of a companion and assistant. She also works with elementary school children as an assistant in the classroom and enjoys spending time with special needs kids. Diane shares her love of people with her husband Steve, a two-time cancer survivor. They both enjoy travel, camping, gardening, music, and nature. Steve and Diane have been together 45 years now - and are still very much in love. You go guys! Jim has been with Ashes on the Sea since 2015. He helps families on the boat with their memorial service and their comfort while on board. Jim is a great addition to the Ashes on the Sea family! Jim and his wife live in San Diego, and enjoy regularly participating in volunteer work for the community.